BEIJING -- China should amend its laws and policies on land administration to ensure that all the land expropriated are for "public interests", said a political advisor on Monday. 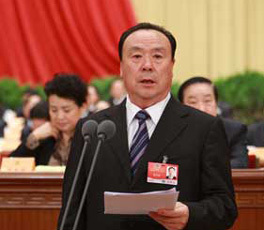 "Measures should be taken to extend the land owners' rights to know and participate in land expropriation procedure," said Li Dongyu, member of the 11th National Committee of the Chinese People's Political Consultative Conference (CPPCC), at a CPPCC plenary session. Li, also vice chairwoman of the CPPCC Shaanxi committee, proposed that related departments should draw a list of purposes for which land could be expropriated, to prevent misuse of land. She also called for reinforcing the plans and regulations on land administration to better control the total amount of land for construction use. Premier Wen Jiabao said in his government work report on Thursday that China had already intensified the protection of arable land in 2008. "We will adhere to and apply the strictest possible systems for protecting arable land and economizing on the use of land, and do everything in our power to keep the total amount of arable land above the red line of 120 million hectares," pledged Wen. China is facing a sharp conflict between land supply and demand, and the area of arable land, which had shrunk by 4.6 million mu from the end of 2006 to 1.827 billion mu, slightly above the minimum of 1.8 billion mu (120 million hectares) set by the government.